Buck Creek Ranch is a private residence. If you want to experience the beauty of this luxury estate, please contact us prior to visit. Please phone or email if you are seriously interested in purchasing any of the listed property. If you are looking for property for sale you've come to the right place. 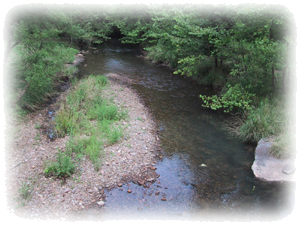 We have property available in East / Middle Tennessee on the beautiful Cumberland Plateau. Suitable for home, business, or subdivide. We'd be happy to answer any questions and provide pricing. Use our convenient menu or click here to see our properties page. Click on a picture below to visit a property for sale. - The Tennessee income tax does not apply to salaries and wages, but most income from stocks, bonds and notes receivable is taxable. - Food remains taxed at 6 percent, but candy, dietary supplements and prepared food are taxed at the increased 7 percent rate. - Local sales taxes also are collected and those rates vary from 1.5 percent to 2.75 percent. - Insurance rates are below the national average. - According to a recent survey by the American Chamber of Commerce Research Assn., the cost of living in Tennessee is 17% less than the national average. For more information about Tennessee, visit www.tn.gov. All properties on this site are for sale by the owner. Not a licensed agent. Buck Creek Ranch is not for sale at this time. If you would like more information or pricing please contact Tom Pelfrey at buckcreek@frontiernet.net.